*Update: Maximum PC is reporting that Microsoft has pulled out of the Family Guy sponsorship deal. 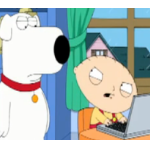 The folks at ARS have unearthed this short clip, originally posted on the Microsoft driven win741.com, of a Windows 7 ‘infomercial’ starring Family Guy characters Stewie and Brian. Dubbed “Family Guy Presents: Seth (Seth MacFarlane, Family Guy Creator) & Alex’s (Alex Borstein, MacFarlane’s Family Guy Co Star) Almost Live Comedy Show” — the infomercial is scheduled to air (with no ‘commercial interuptions’) on Sunday November 8 at 8:30 EST.